Fellow photographer Shawn Duffy is working on a 365@50 project where he takes at least one picture a day with a 50mm prime lens for 365 consecutive days. I don't plan on doing that. 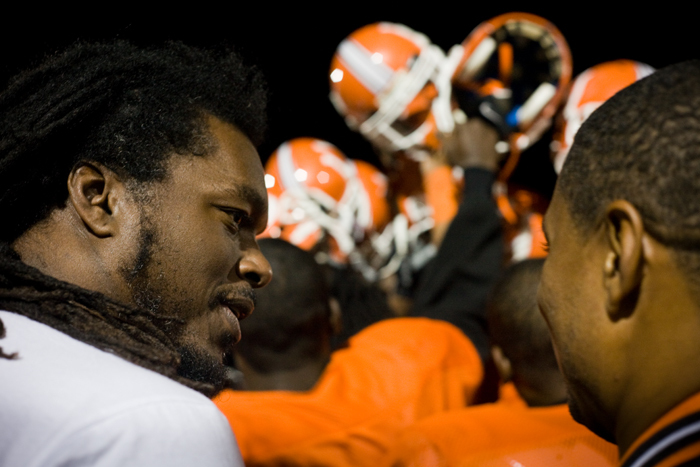 But I did photograph an entire Coolidge High School football practice using only my 50mm. At f/1.8, its definitely fast enough for sports, but not really long enough. War photographer Robert Capa once said, "if your pictures aren't good enough, you aren't close enough". 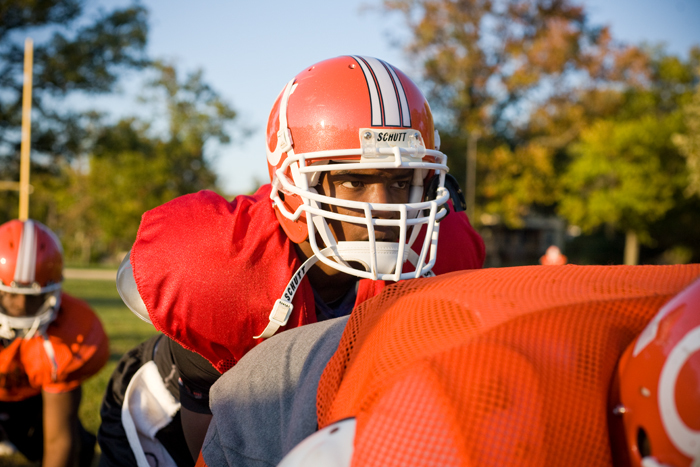 With the 50mm, I had to get pretty close and was almost run over by a lineman. 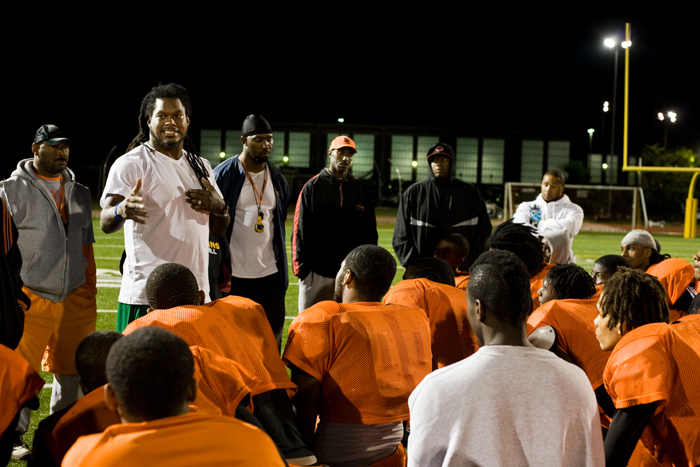 But because this was football and not war, I was ok. Shout out to former Redskins linebacker LaVar Arrington for making a special guest appearance for a post practice pep talk. Thanks for the link! And I'm really loving the photos! I think the first two are my fave! can you believe a girl is reading about football. lol :) i can't help it i love it!